All eyes are on the U.S. political landscape heading into the 2018 Midterm Elections in November. With all 435 seats of the House of Representatives and about one-third of Senate spots up for grabs, the next decade of politics lies in the hands of voters. Party control of both the House and the Senate will determine the future of the current presidency. From fake news to Cambridge Analytica, the 2016 election was the first look at how digital media will influence modern campaigns. The 2018 midterm elections will amplify the effects seen by social media in the last election. On this episode of The Oxford Comment, host Erin Katie Meehan sits down with experts Siva Vaidhyanathan and Jamie Susskind to gain a better understanding of our current dependence on technology, and the political dangers that come with it. Featured image credit: Tree Structure Networks by geralt. CC0 via Pixabay. 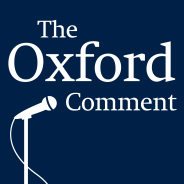 Episode 49 of The Oxford Comment was hosted by Erin Katie Meehan, Senior Marketing Manager at Oxford University Press. This episode was produced by Nicole Piendel (Executive Producer/Editor) with Mackenzie Cutruzzula and Marissa Lynch (Associate Producers). Special thanks to our Production Coordinators Katelyn Philips, Victoria McPherson, and Tom Carson, as well as Madeline Woda and Julia Baker (Production Assistants). We'd like to thank our guests Siva Vaidhyanathan (Antisocial Media) and Jamie Susskind (Future Politics). You can follow Siva Vaidhyanathan (@sivavaid) and Jamie Susskind (@jamiesusskind) on Twitter.